Did you know that I try to mostly eat Paleo? After the elimination diet I did last year, my body does not tolerate wheat or dairy very well. 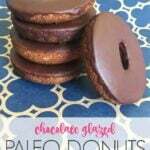 This Paleo Donut Recipe is one of my all-time favorite treats. The donut is made with healthy ingredients, is wheat-free, has no refined sugar and tastes absolutely delicious! You’ll need a donut (doughnut!) pan for these baked donuts. I bought this one a couple of years ago and it has been great. Mix all the wet ingredients together (except for the eggs). Then in a separate bowl, combine all the dry ingredients. Add the wet to to the dry. Beat your egg whites until they form stiff peaks, then gently fold into the mixture. Put your mixture into a piping bag and pipe it into the donut mold. Bake at 350 degrees for 8 – 12 minutes or until golden. Remove from pan and allow to completely cool (I usually pop them in the freezer for 15 minutes). In a double boiler, melt the chocolate and coconut oil until shiny and smooth. Dip the cooled donuts into the chocolate. Chill for at least 30 minutes until the glaze hardens. The glaze will soften at room temperature so leave refrigerated until around 5 – 10 minutes before you serve. 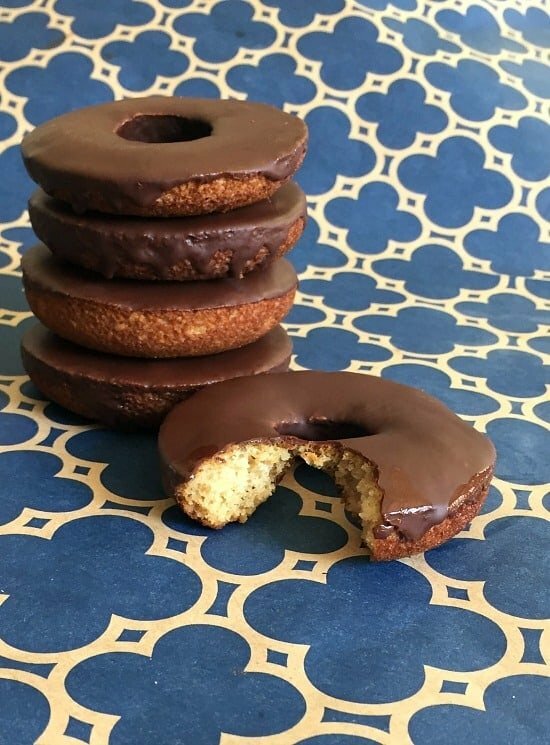 This Paleo Donut Recipe is so delicious – it’s moist, chocolately and perfectly sweet. But there’s no junk in it so you can feel good about treating yourself! Do you think you’ll give this quick recipe a shot? I’d love to know what you think if you do! 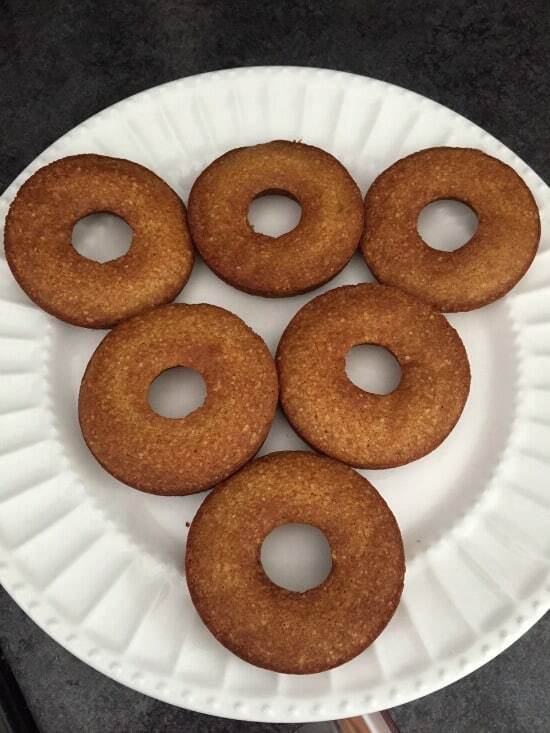 A delicious baked paleo donut recipe. Gluten free, dairy free and refined sugar free. 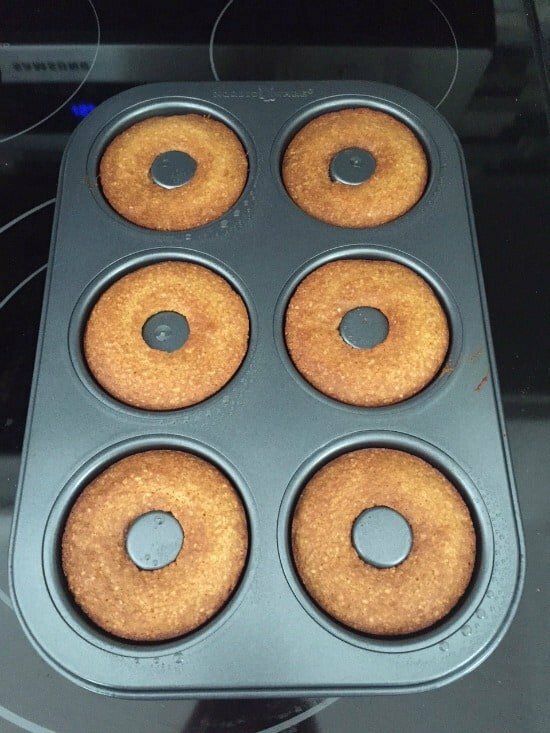 Preheat oven to 350 degrees F. Grease your 6-mold doughnut pan with coconut oil. Beat the egg whites until thick and fluffy. Firm peaks will form. Gently fold the egg whites into the batter. Do not over-mix. Put batter into a piping bag (or a freezer bag with the corner cut) and pipe into the doughnut molds. Bake 8 - 12 minutes until lightly golden (8 minutes on a convection oven, 12 minutes for a regular oven). 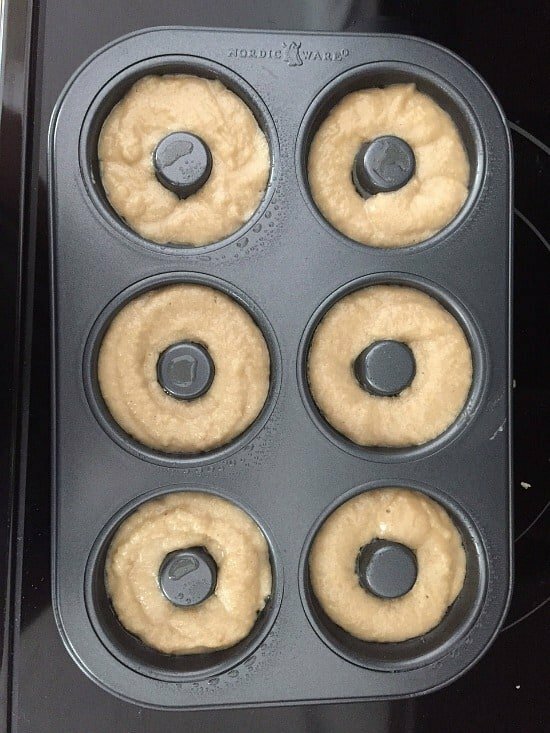 Allow the doughnuts to cool, remove from the pan and refrigerate for 30 minutes. Create a double-boiler (bain marie). Fill a saucepan with a few inches of water and place on a medium heat. Put a bowl (or smaller saucepan) on top. It should not be touching the water. Place the ingredients for the glaze in the bowl. Stir gently until fully melted. 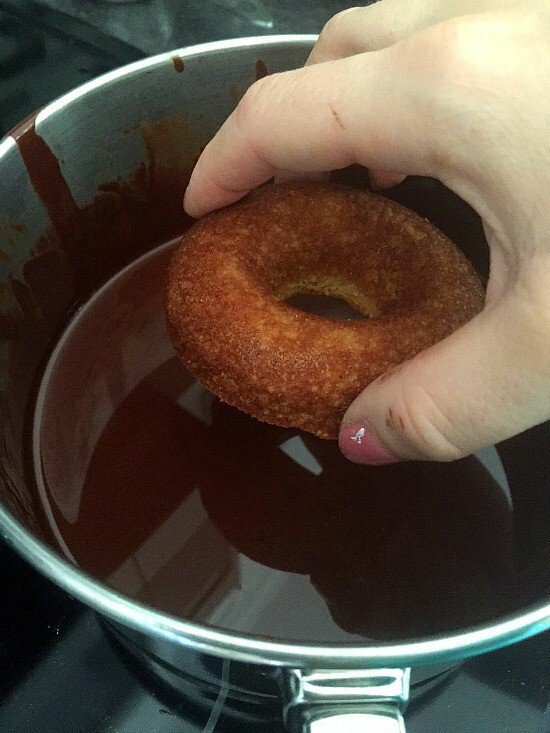 Dip each chilled doughnut into the chocolate mixture.